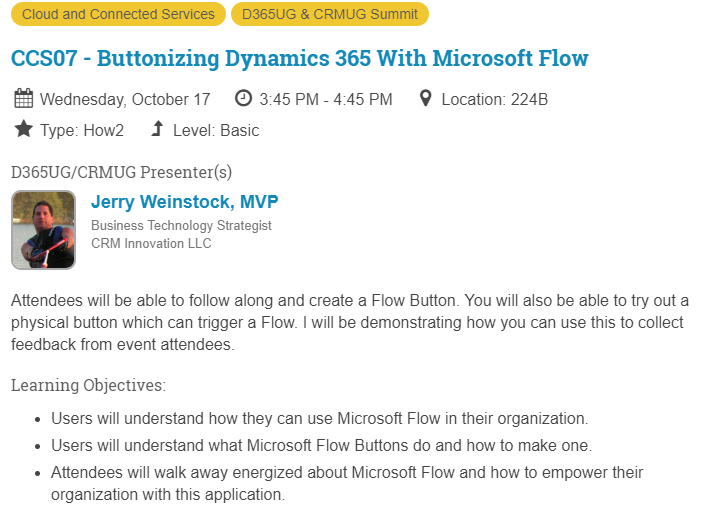 At the upcoming CRMUG 2018 Summit I will be demonstrating how you can use Flow Buttons at your company to enhance and extend the functionality of Dynamics 365. This session at Summit will be like none you have ever been to before, it will be totally 100% interactive. 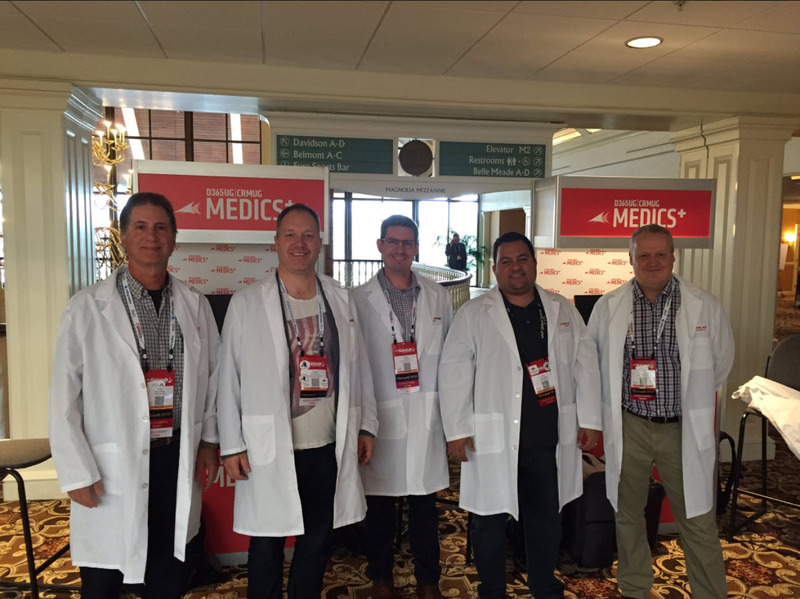 All the attendees will be part of the session, much like a magic show where they ask for volunteers from the audience to come up and be hypnotized. I will show you the three different types of Flow Buttons in real world scenarios. We will also walk you through creating your own button right on your phone during the session. One of the demonstrations will be where attendees can actually ‘touch’ Flow Buttons and make stuff happen! 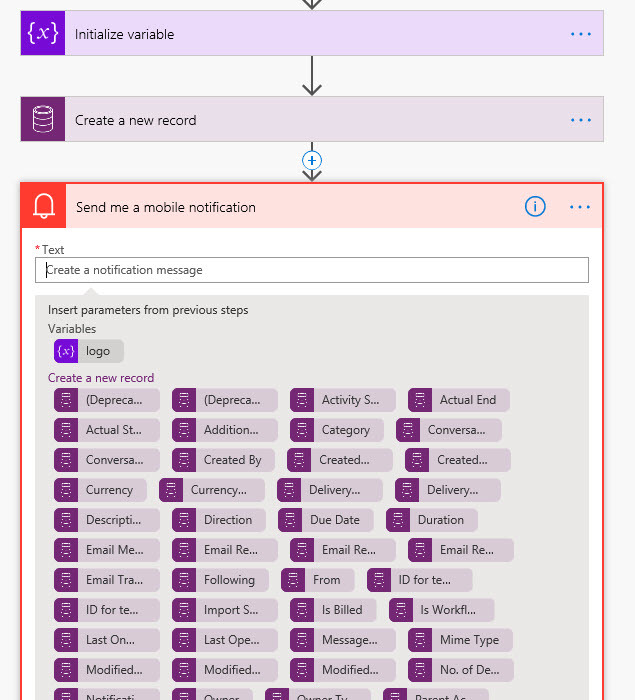 Sign up for Buttonizing Dynamics 365 with Microsoft Flow today! next post: Faster than Flow?